South Africa’s new Crime Intelligence head Peter Jacobs has a mountain to climb in order to fix the mess Richard Mdluli left behind. Minister Bheki Cele’s announcement on 29 March of Jacobs’s appointment is just one part of President Cyril Ramaphosa’s arduous task of reversing the damage his predecessor Jacob Zuma did to state institutions. Zuma typically selected dishonest, corrupt or incompetent people to head various government and state-owned agencies. It started with the country’s security agencies, resulting in their consistent deterioration over time. Arguably, the intent was to prevent accountability for the large-scale looting of public funds and corruption that characterised his presidency. Ramaphosa’s first step must be to remove those appointed for nefarious motives and replace them with highly skilled people whose integrity is beyond reproach. Much of the damage done was to the South African Police Service’s (SAPS) Crime Intelligence Division. Two months after Zuma became president in 2009, the little-known Mdluli was irregularly appointed as Crime Intelligence head following a meeting with cabinet ministers close to Zuma. Mdluli maintained a low profile until he made headlines after being charged with murder, kidnapping and various related charges and suspended in May 2011. In November of that year he again made the news when he was further charged with fraud, corruption, theft and money laundering. His closeness to Zuma became apparent when he wrote a letter to Zuma claiming that the charges against him were as the result of a conspiracy against him and that if the charges were dropped, he would help Zuma. Police minister at the time Nathi Mthethwa reportedly instructed that all investigations and disciplinary processes against Mdluli be stopped and his suspension lifted. It took an order from the High Court after an application from civil society organisations to ensure that Mdluli was re-suspended. The High Court order that Mdluli be brought before a disciplinary hearing to answer to the evidence of wrongdoing against him was never acted on. Almost seven years after his suspension, while he received the full pay, bonuses and benefits of an officer with his rank, then police minister Fikile Mbalula allowed him to retire early without being held accountable for his alleged misconduct. Mdluli’s tenure was characterised not only by criminal charges against him and key members of his staff, but also by his removal of highly skilled and dedicated members from his division. The officers Mdluli purged were simply upholding their oaths of office to act against criminality that came to their attention. For example Kobus Roos, at the time divisional head of Internal Auditing at Crime Intelligence, reported serious evidence of fraud and corruption in relation to the secret services account to Mdluli. In response, Roos was transferred. Crime Intelligence commander Mark Hankel gathered evidence and compiled a report on how Mdluli and others allegedly plundered the secret services account. He too was forced out of Crime Intelligence while no action was taken against Mdluli. While on suspension Mdluli reportedly continued being involved in its work and had regular contact with many of those who continued to be loyal to him. He allegedly irregularly appointed 250 people into the division – including 26 family members and friends who had no policing experience. Mbalula, when announcing Mdluli’s early retirement in January, said the police needed to restore stability within Crime Intelligence as part of a ‘turnaround plan in our crime-fighting strategy ... to have intelligence-led policing, to disturb, disrupt and erupt on crime’. The instability he referred to was quite visibly demonstrated by the fact that in the seven years of Mdluli’s suspension, Crime Intelligence had 12 acting heads, many of them also controversial appointments. Perhaps the disarray in which Mdluli left Crime Intelligence is one of the reasons for the dramatic and persistent increases in most serious and violent crimes over the past five years. Jacobs appears to be a solid appointment. As a struggle activist, he was sentenced to between 10 and 15 years for uMkhonto weSizwe activities. He joined the SAPS in 1995 as part of the process to incorporate non-statutory forces into the police service. With 23 years of police experience, he also holds a Master of Science degree in corporate security from Cranfield University in the UK. During his time in the SAPS he has held the post of Western Cape Deputy Provincial Commissioner: Operational Services. He was also the commander for the Provincial Operational Command Centre, and deployed in the operational response and police emergency services environment. Jacobs made the news in 2016 when he, as Western Cape Crime Intelligence head, and Western Cape head of detectives Jeremy Veary, were illegally demoted from their positions. 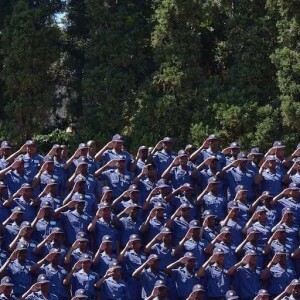 It was alleged that the reason for the demotion was their probe into high-ranking SAPS officials and well-connected politicians reportedly involved in corruption and illegal gun running. This seems to support the view that Jacobs is a principled person who will endure risks to tackle crime and corruption. To turn Crime Intelligence around, Jacobs needs to start at the top, ensuring that every member of the division is properly appointed and thoroughly vetted. This may prove difficult as he will need to work with the State Security Agency (SSA) to achieve this. SSA head Arthur Fraser is currently being investigated by the inspector general for intelligence for allegations ranging from large-scale corruption to treason. If the SSA can’t be trusted then Cele may need to establish a separate independent structure in line with the recommendations of the National Development Plan (NDP) to assess all senior police officials. Crime Intelligence can’t afford to have any member whose integrity is questionable, let alone staff with criminal records or who see their loyalty as being to particular politicians rather than the constitution. Jacobs may do well to consider the reappointment of former members of Crime Intelligence who lost their positions because of their efforts to stop corruption and criminality within the division. He will need support – especially from those with integrity and a deep understanding of the intricate workings of Crime Intelligence. Tune in tomorrow to ISS’s View on Africa briefing to discuss crime intelligence in South Africa with Johan Burger.